This sort of stuff is why I was so excited to have been shown this blog. Information like this is for historians to work with, and I’m glad that there’s actual proof of the Stanford thing beyond that 1973 video clip (I tried to contact those who have the documentary to see if they might be showing it again, but no luck on that front). Glad that, regardless of the debunking, you are giving Bushnell his due. Especially in the wake of Baer’s death, I feel like there’s still a lot of ill-will towards the guy. While his tale isn’t exactly tragic, I do find it sad to see his ambitions simply make him unable to sustain the company he created. He’s been a good sport over the years, however much he conflates some aspects of the truth, and his due is well deserved. Thanks as always for the kind words. I agree that it is important to give Nolan his ample share of the credit. I feel that because Ralph Baer’s and Ted Dabney’s contributions were obscured for so long (though Ralph actually got a lot more credit in books and articles written in the 1970s and early 1980s then I think many people realize) there is a tendency to want to tear down Nolan a bit to “balance the scales” or something. Even if he has exaggerated his role in certain events at times, the man still played a crucial role in shaping interactive entertainment. Sorry if this was just a mis-phrasing, but you said “books” of the 1970s? Were there any on video games until Video Invaders? Probably was just taking that too literally, I’m simply curious if you might have found something new. I’m assuming you’ll be skipping over Baer for now, since you said you were going to focus on arcades, and then come back around to him when the Odyssey actually premieres. Those contemporary accounts will definitely be useful for getting a sense of the times, which you’ve managed to do admirably so far. Getting portraits of the people involved is probably the best way to understand why they formed the companies they did. Shame Ted Dabney never really kept with it as Nolan or Alcorn did. 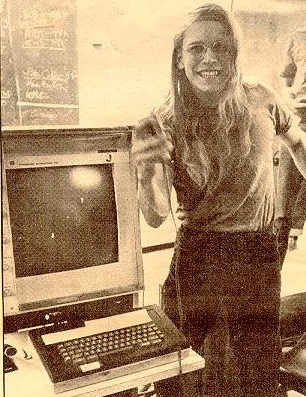 He could have been an Atari great. It may be, however, that we are not looking far enough back and/or in the right places. In Video Invaders, Bloom wrote that Baer would “…genuinely like to know why his name doesn’t ‘pop up’ more in articles that discuss the genealogy of TV games…” So he was clearly already concerned about the issue long before Bloom and Sullivan and Cohen (Scott and Dan) and the various video game magazines appeared on the scene (not to mention Kent et al) I have read a good number of newspaper and magazine articles on video games from before 1982 and while it’s true that many concentrate on Bushnell and don’t mention Baer, most of them were written specifically about Pong or Atari or coin-op video games in general so it’s understandable that they didn’t mention Baer . I don’t know if I’ve found any articles from that time period that tried to recount a general history of video games overall.